"Our system provides a pattern of typical behavior," said Psota, research assistant professor of electrical and computer engineering. "When an animal deviates from that pattern, then it may be an indicator that something's wrong. It makes it easier to spot problems before they get too big to fix." 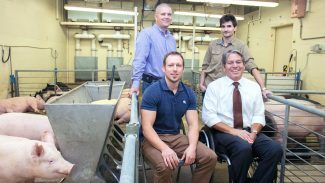 "We want to make a tool that is available to the livestock producers," said Schmidt, associate professor of animal science. "In a competitive agricultural market with rising costs, producers are looking for solutions that streamline operations while enhancing the health and well-being of their animals." The team is pursuing further development with the help of NUtech Ventures, the university's technology commercialization affiliate. NUtech has patented the technology and is exploring industry investment. "NUtech provides a valuable service and opens us up to conversations with people outside the university," Schmidt said. "We're now looking for industry collaboration to help us advance this system." The team recently received $675,000 from the National Association of Pork Producers to fund two studies. In collaboration with Kansas State University, the first study will explore the technology's ability to predict illness. 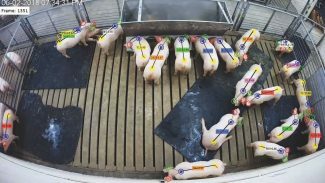 The team plans to collect data from both healthy and immune-compromised pigs, training the system to distinguish early symptoms. The second study will explore the lifespan of sows — female pigs of reproductive age — and traits that may be associated with longevity. 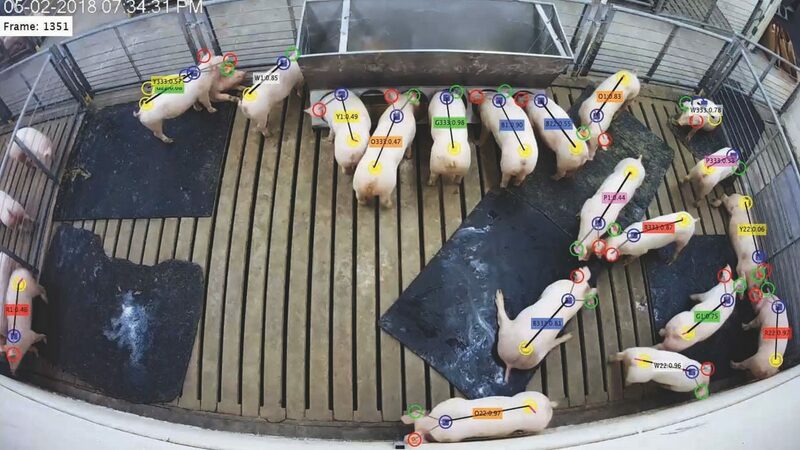 The Nebraska team's technology will track sows over time and identify changes in movement, gait patterns and physical activity — data that may yield links between genetic background and longevity. It's a connection that hasn't been measured because there hasn't previously been technology to do it, Schmidt said.